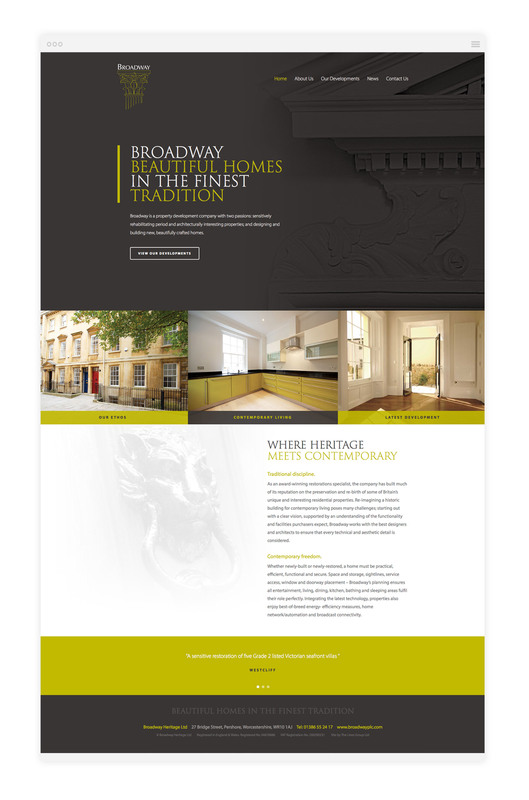 Broadway Heritage is a property development company who, since 2005, has remodelled or built more than 130 residential dwellings, many with on-site property management. 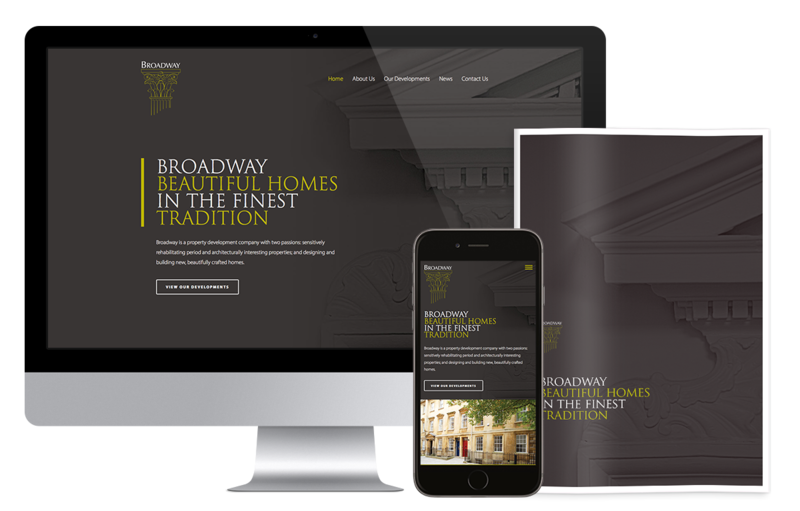 As a regional developer with a niche for sensitively rehabilitating period properties and building beautifully crafted new homes, it was important that Broadway branding presented the right image for the company. Their website was old and no longer representative; whilst the corporate brochure was also outdated. So, having worked with them on a number developments, we were asked to ‘freshen the whole thing up’. 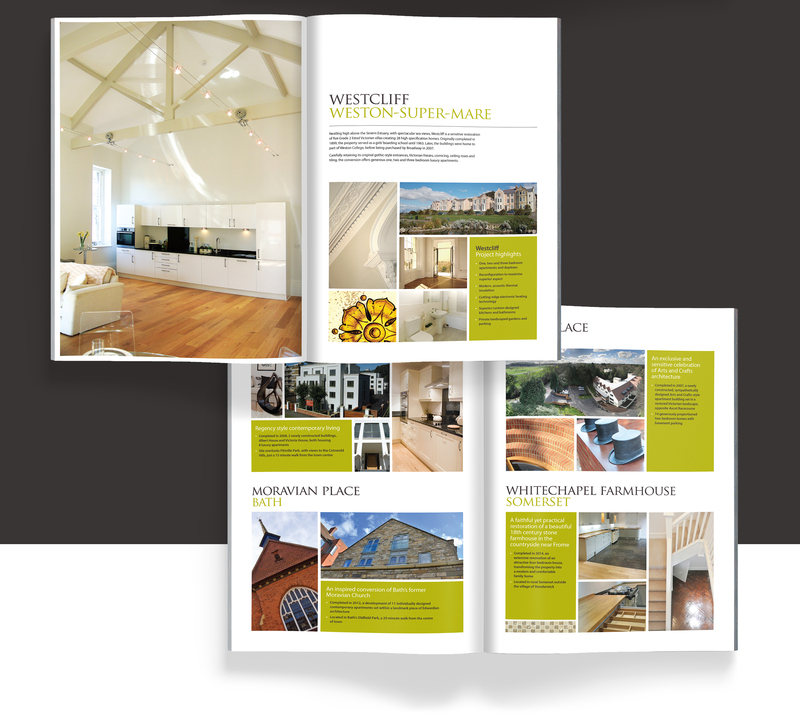 Both the website and corporate brochure play a significant part in presenting the company to the outside world. Not just for potential purchasers, but for landowners, local authorities, planners, investors and possible joint ventures. So it needed to hit the right note. 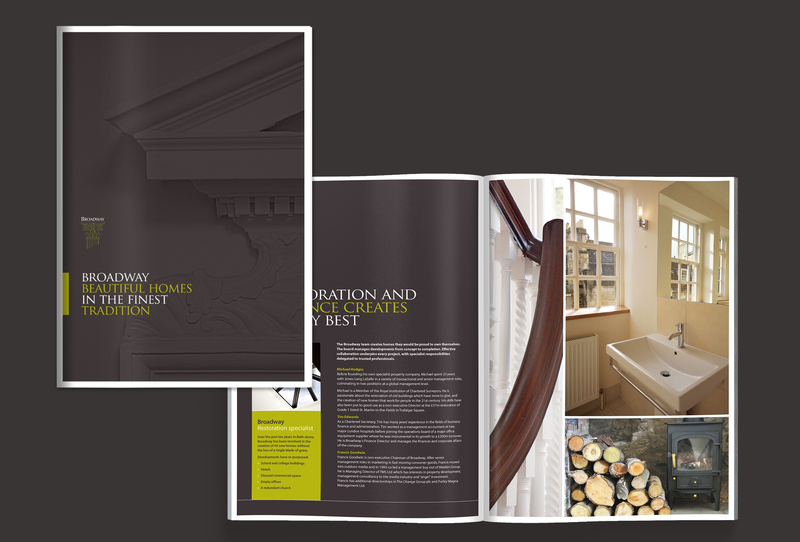 Utilising much of the core content from their new website, the information was presented in printed form, with the main difference being the way a range of completed projects were featured as ‘case studies’, to showcase their track record. 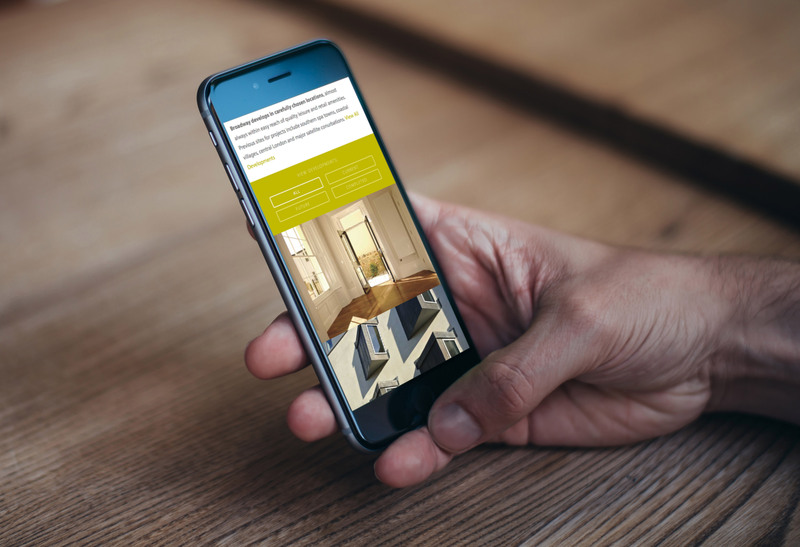 We designed and built a fully responsive CMS driven website, with intuitive navigation and a combination of clear messages, imagery and white space, that presented an impressive online showcase for the company. 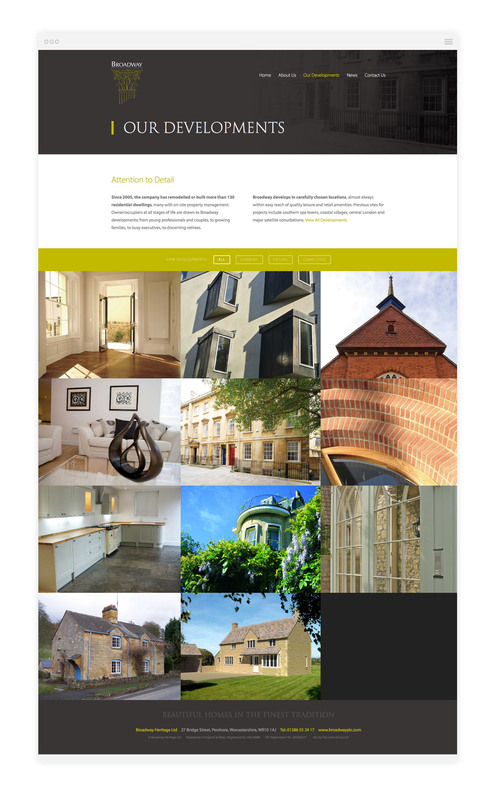 Featuring all developments - old, current and future - a filter system allowed visitors to chose what to view, whilst links to microsites were also included for individual current developments. The Lines Group instinctively understand our brand and product. Their ability to project the quality of new home we deliver via print and electronic media is intuitive. They have assisted us in achieving astonishing pre-sale results. I would have no hesitation in recommending their services.